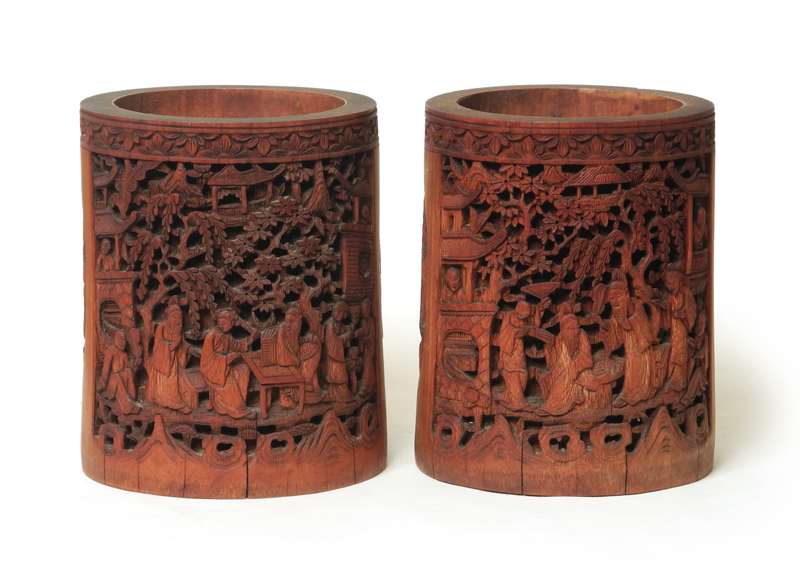 A superb pair of finely carved Chinese bamboo brush pots or ‘bitong’. Unusual to get a pair. Excellent patina and colour, fine condition.